In the present age, the 21st Century, the term Social Media seems not sound new in our ears anymore. We go there to share our photos and videos, make new friends and meet old friends, read jokes and so many more. We spend our time there and how do we make up for that? How do we make up for the data we spend…huh? It’s so sad that many people haven’t come up to the idea that once you have an internet access, and an internet enabled device, then you could be making some money online. How Will I Get Money From My Twitter Account As A Nigerian? This is somewhat of a grey-hat tactic, but as long as you don't go overboard with it, there's truly no harm done. What you want to do is find the major players in your niche or market, and then view their followers and people that interact with their tweets. Go ahead and follow those accounts, or even interact with them. This is an excellent way to gain new followers and easy free traffic. There's even software that can automate this kind of stuff for you. Search for tweets that contain keywords and Hashtags related to your business or products and if they're questions or anything – reply to them. This is your opportunity to not only make connections with others, but also to drive traffic and even get conversions too. 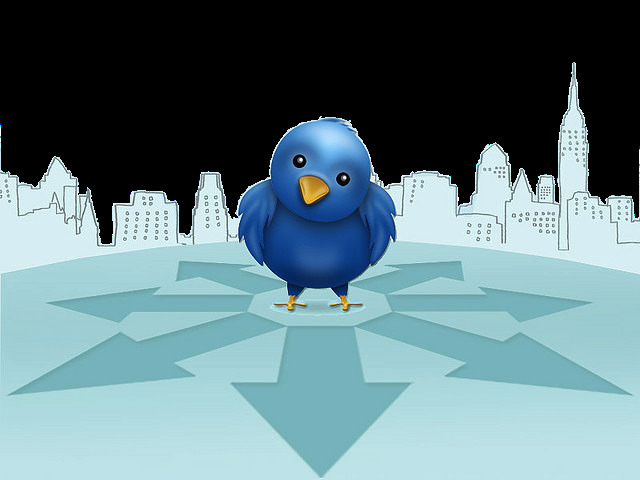 As always, another excellent method for gaining traffic and creating a buzz is to ask questions on Twitter. This could be by asking other users (via search or hashtags) different questions. Or by asking your followers a question and getting them to retweet with their answer. There's all kinds of potential with this approach. How Do I Do Facebook Marketing? If you are not on Facebook already, go to Facebook and create your account, it really helps I building a great audience. 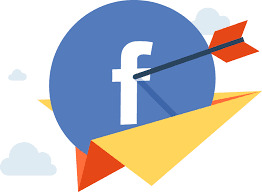 Facebook page is like a business Facebook account, Facebook frowns against advertising products in your personal account but encourages advertising in your page. Go to Facebook to create your page now, it is free. A Page can host all of the pertinent information about your brand, business, or anything else that you it is centered around. Other Facebook User's can like your page, see updates on anything you post on their timeline. Creating a page is not only easy to do, it's also one of the best ways to market on your brand as Facebook has more than two billion users. Groups are an extremely powerful marketing and community tool that you can utilize in so many ways. One thing I noticed is that there are Facebook groups virtually on any topic you can think of. These groups may be public or private. Another interesting fact in Facebook groups is that users will get notification ones you post there. The group feature is that user's will receive notifications for every post, which means you can get guaranteed traffic if you contribute valuable content and posts. You can also click here to create your own group and then add members to it. It is Facebook’s custom to show you your stats and audiences ad also allows you to show ads to people who have already visited your website. This is called re-marketing. Advertisers can show product ads to Facebook users who left the website before purchasing a ticket. 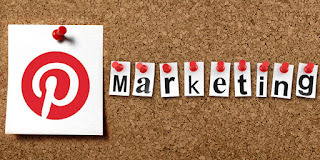 Re-marketing can be a very effective strategy because people rarely buy the first time they hear of a product or see an offer. This is especially true for big-ticket items like conferences and conventions. This is almost a no brainier, but it needs to be mentioned. If you're a blogger, write articles, sell information products, or anything else, this is valuable to you. You should cross post anything you create on the web, on your Facebook page, or even in groups as well. Make sure that you don't post the entirety of an article or blog post, but rather summarize it or share a teaser, and then link to the full post at the end. When you consider how gigantic the audience is on Facebook, you realize that the advertising potential is also huge. You can laser target different niches and users depending keywords, interests, behaviors they've taken, and so much more. Better yet, there's countless courses out there that will teach you how to get clicks (and sales) from Facebook for pennies each. Though we mentioned re-targeting user's before, there's enormous potential to target completely new user's as well. You can use ads to gain leads for your list, sales for products, or likes for your page. At this point, there's really no excuse for you to not be utilizing YouTube in your business, especially with how easy it's become to create awesome videos. With that said, if you're still thinking of a way to implement YouTube into your business and your marketing strategy, this is for you. 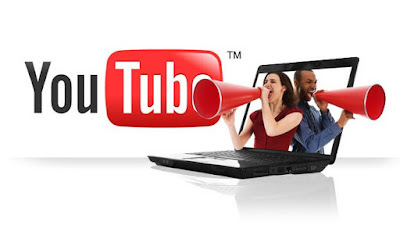 The following are just a few ways you can take advantage of the massive authority and ever-growing pool of traffic on YouTube. There's so many services (free and paid) to create videos for any purpose. Whether it's a simple text and slide based video, or a complex animated video – it doesn't matter. Upload your content via videos and start creating. Optimize them for different keywords, tags, titles, and add a nice description with a link to your website or other offer. It's really that simple, just rinse and repeat. Video provides a unique opportunity to convey the energy and excitement of a live event. Great visuals and catchy audio are a potent combination that drives registration. It also creates engagement opportunities as the video is shared with friends and other networks. Do you have great comments in the exit surveys from previous products? Maybe you’ve interviewed attendees or speakers and captured statements of excitement about specific sessions, great experiences and so on related to your business or products. Don’t let those nuggets go to waste! Create simple graphic images with these quotes and comments. Share these visuals in your email marketing campaign, social platforms, blog posts and email signatures. Similar to other platforms, you can easily host all kinds of different contests and crowd incentive-based events on YouTube. All it takes it a little thought and creativity, and the effort to create and upload the video. You can set up rules for entering, ask viewers to share something or sign up for something, and so many other things. The possibilities are limitless. Some may consider this a spammy tactic, but it's not if you utilize it properly. By interacting on other videos and channels, being helpful, and participating in discussions – you will easily generate interest and establish yourself. In some situations, other channel owners will offer to promote you or help you out. Instagram is by far the most popular platform and app for sharing images on the go, not including older sites like Flickr. 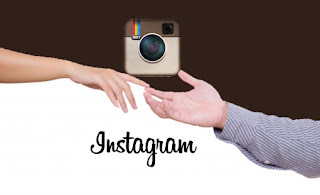 But even so, Instagram has now found it's way into many big businesses and all sorts of marketers campaigns. With that said, the following are just a few ways that you can market anything on Instagram. Let's face it, people love to witness a behind the scene's experience from a business or even individual that they like. Showing off the different aspects of how your business functions, or sharing specific details about your personal life can be a great way to connect with your audience personally. It also gets people talking! Going off of the previous point, exposing your personality and giving that human touch to your business or brand is without a doubt one of the best ways to improve your authority and drive traffic. It will allow people to better relate to you and what you do and it's an easy way to create content. Just like on Twitter, this platform makes use of hashtags as well. Because of that, you can implement the hashtag for your brand, or relevant hashtags to the subject matter of your photo. Tons of users are searching for these hashtags and it's an incredible way to create traffic on nearly autopilot. Pinterest Marketing - How Do You Do It? Over the last few years, Pinterest has positioned itself firmly as a means for sharing, storyboarding, and spreading ideas, products, and different information. Better yet, it's not just for images anymore. The platform has the massive potential to drive loads of traffic on essentially autopilot, you just have to utilize it properly. The following are just a few different ways you can market your products on Pinterest. This is the main purpose of Pinterest, and you should become accustomed to it if you plan to use the platform. It's super easy to find products and posts to “pin” and you can even add your own comments to help build a following. Sure there's tons of content already out there that you can post, contribute, and pin around. But you can also upload your own images of your products, crafts, or anything else to the platform. This not only gives your account and brand an original edge and authority, but it will also create loads of traffic all piloting back to you. Pinterest has a gigantic user base, and it's super easy to interact with other users and make awesome connections. By doing this, you'll easily increase your authority, expand your audience, and maybe even end up getting promoted by some bigger accounts or celebrities that use Pinterest. Just stay active and persistent on the platform and you'll see success. Reddit is often referred to as the “front page” of the internet, and for good reason. When you consider the fact that it attracts upwards of 8 billion page views every single month, you see how much traffic potential the platform has. 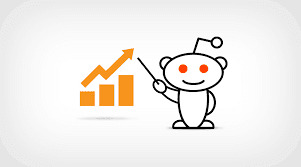 You can easily generate tons of highly targeted traffic using Reddit, if you do it the right way. If you want some ideas for marketing on Reddit, the following are just a few to get you started off right. With the gigantic audience that Reddit hosts, you have to find one of the hundreds of thousands of sub-reddit's that specific to your audience and niche. Once you find the sub-reddit's for your brand, you need to start interacting and establish yourself. Infographics speak volumes about content, and provide a great visual representation of data that can then spawn a ton of discussion. They're easy to make, and easy to find, and people are always interested in looking at them. Just like everywhere else on the net, people are constantly asking questions on Reddit and that means you have plenty of opportunities to share your knowledge, answer questions, and establish your authority. Make it a point to search for questions and answer a few every single day, if you can. Reddit users are savvy and won't fall for generic articles, or lame rehashed information. With that in mind, you can always create new content, share your own posts, or share current event's related to your topic. Just always ensure that the content you contribute provides some level of value to the viewers. This tip may seem like a no-brainer, but you would be surprised how many businesses skip this vital step. Create, use and market your brand-specific hashtag. You should be using this hashtag on EVERYTHING. Every digital image you create, every piece of collateral, your email signature… Anywhere you can think of—share it! These people remembered their hashtags—don’t forget to add yours! By using a product-specific hashtag, you’ll make it really easy for people to find not only what you’re sharing, but what other people are saying, too! 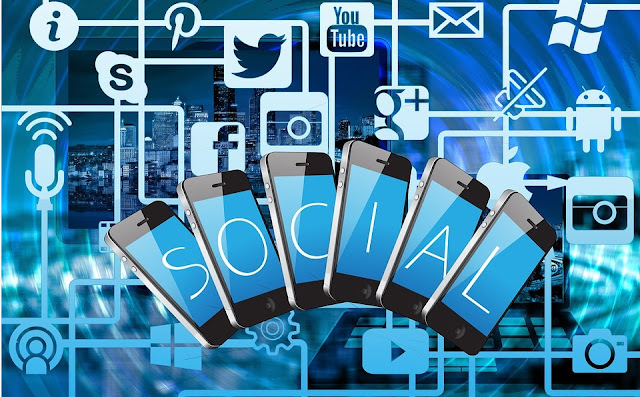 Nowadays, a lot of the social networking platforms support the ability to connect your OTHER social network accounts to each other. You can then select to option to cross-post and share posts between your different accounts. This is an excellent way to not only save time with having to post on all of the different accounts, but also a way to generate traffic between the different social networks as well. This is dead simple and very useful. Just head out to other popular page's in your niche and look at the posts that they make they end up being the most successful. What you can then do is see what they did right or wrong, and implement those strategies into your own marketing plan. Make it a point to regularly do this. It should come as no surprise that for pretty much every single social network out there, there's a compatible tool or software that will help you automate your marketing in certain aspects. These are all around the net, and they range from free to monthly payments. It's up to you to find the one that works best for you. This can save you a ton of time, effort, and everything in between. Plus you may end learning a few things you didn't know before. So, there you have it. That may have been a lot to go through, but as you went through it all, I'm hoping you had some ideas and realized some benefits that these networks can have on your marketing campaigns. Social networks aren't difficult to get started using, and in all honesty, it's a lot better to set up shop and at least make an effort to use them. With that done, you can later pick them up and use them, and your brand will at least be visible on the internet which can be a major help. For instance, if you own a brick and mortar store (with a physical store front), having a Facebook page with details can help you with business a lot. Adding things such as hours of operation, location(s), stock, specials / sales, and everything else can all contribute to your physical store receiving more traffic. For an online business, having a social presence nowadays is an absolute necessity, so don't skip over setting up the accounts. With all of that in mind, I hope you learned a few things from this course, and I want to personally thank you for taking the time to go through all of this. Now get out there and start marketing on social media! Good luck and don't forget to use the share buttons, we'll appreciate that.